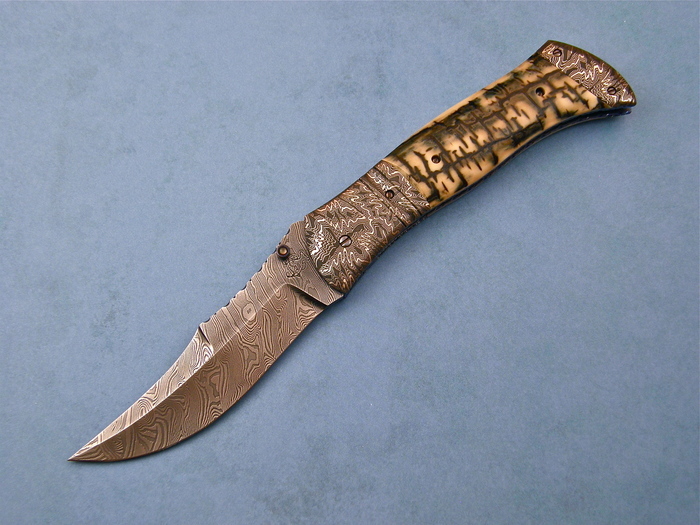 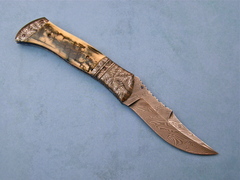 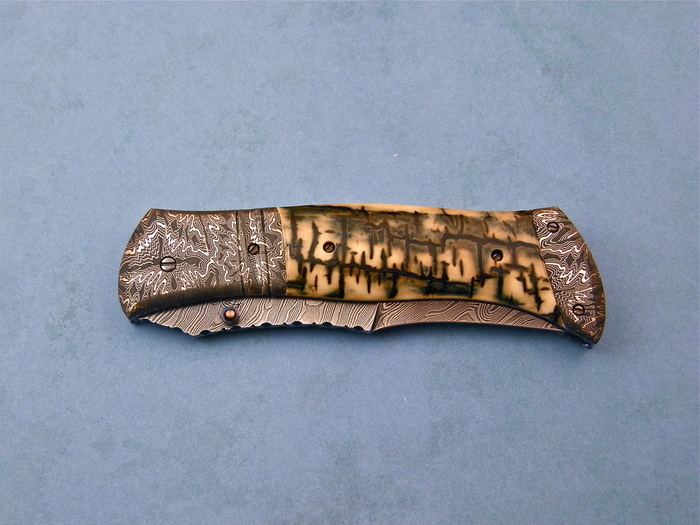 Don Hanson III makes his own Damascus and has his own style. This is a great example of his work. 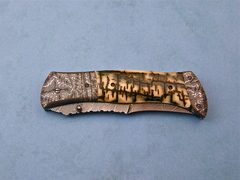 The mammoth ivory handles on this knife are amazing!